Shiitake mushrooms are a versatile ingredient which can be used as the focus of a dish as well as for stocks, stuffings and garnishes. 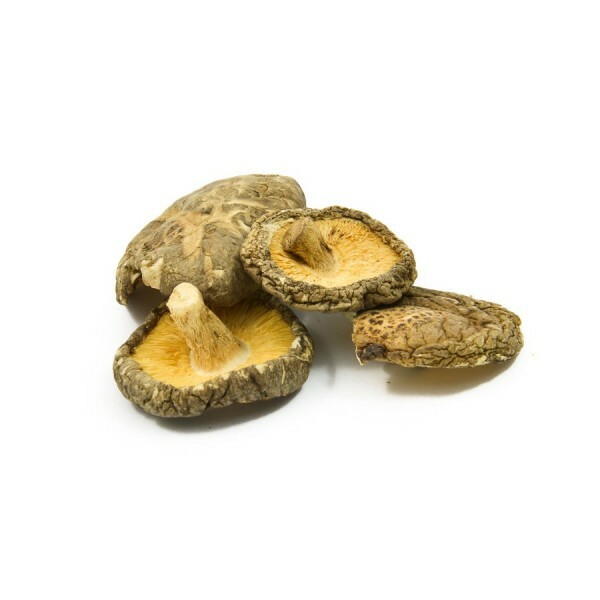 Shiitake are higher in umami than any other mushroom, and drying them intensifies the umami, giving an even greater depth of flavour and aroma than fresh mushrooms. Rehydrate the shiitake mushrooms by soaking them for a few hours in warm water or simmer for 5-10 minutes. The soaking water can then be used as a rich vegetarian stock for risottos or broths. Add shiitake mushrooms to miso soup, use them in bibimbap or for flavouring glutinous rice. The mushrooms can also be sautéed and added to pasta sauces to bring umami meatiness or served as a garnish with fish and chicken dishes. These shiitake mushrooms are 3-5cm in length.